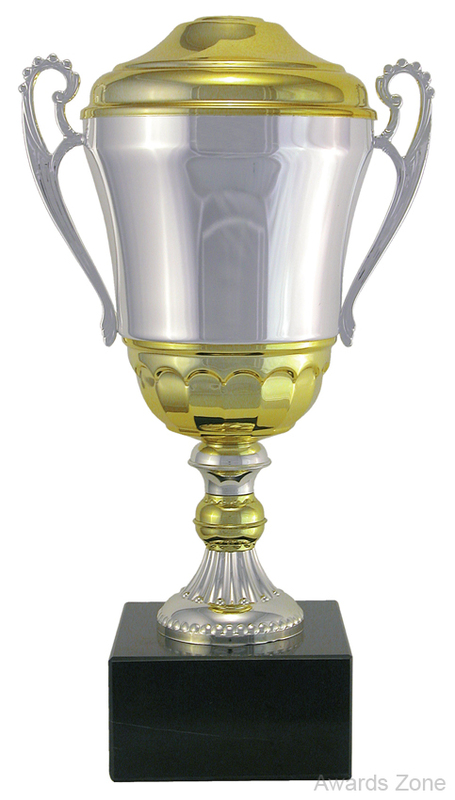 CHAMPIONSHIP METAL CUP, These Metal Cups are Fully Assembled with Lids and Mounted on Tall High Gloss Weighted Bases. 4 sizes to choose from. Heights stated are without the figure. Choice of figures included in price! Heights do not include the figure.